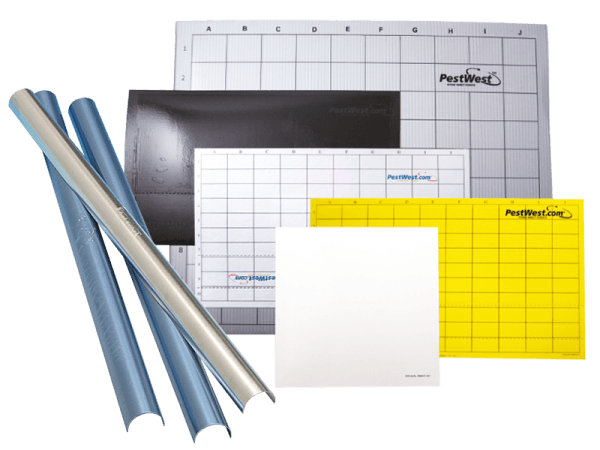 The PestWest range of outstanding sticky boards ensure effectiveness and ease of service to provide a difference that sets them apart from the rest. The effectiveness and ease of service of PestWest sticky boards are achieved by using high quality raw materials and a production process that matches the specific features of our UV fly control units. STICKY BOARDS WITH A DIFERENCE! PestWest glue board models are designed so the glue boards sit closer to the UV tube than competing models, providing a more rapid catch. This is possible thanks to the introduction of the Reflectobakt® sleeve, which makes the units more effective for longer periods of time. Reflectobakt® sleeves are featured in all the Chameleon® range of sticky traps, except for the Uplight, Sirius and EXG models.